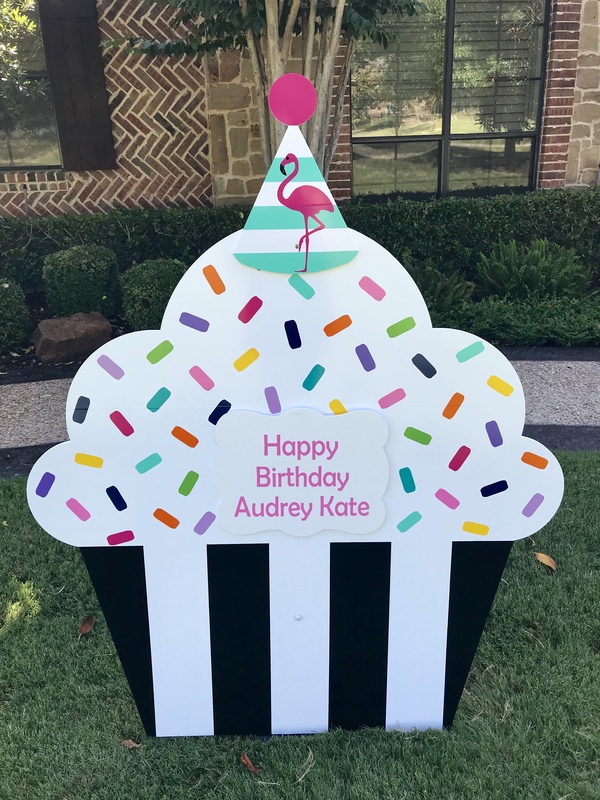 Home › Uncategorized › Cutest Birthday Cupcakes in DFW! Lets Flamingo with the Black and White Confetti Cupcake! So excited to deliver this cupcake for Audrey Kate’s birthday! Flamingos are SO popular right now and this cupcake looked great with the mint flamingo cupcake topper. 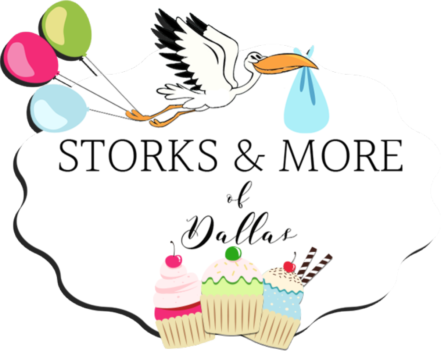 Call Storks & More of Dallas to rent a Stork Lawn or Birthday Sign for your new baby, friend, or yourself! We serve the Dallas, TX areas, including Dallas, The Colony, Prosper, Frisco, Plano, Richardson, Carrollton, McKinney, Allen, Celina, and Lewisville. ‹ Cutest Welcome Home Signs in DFW!